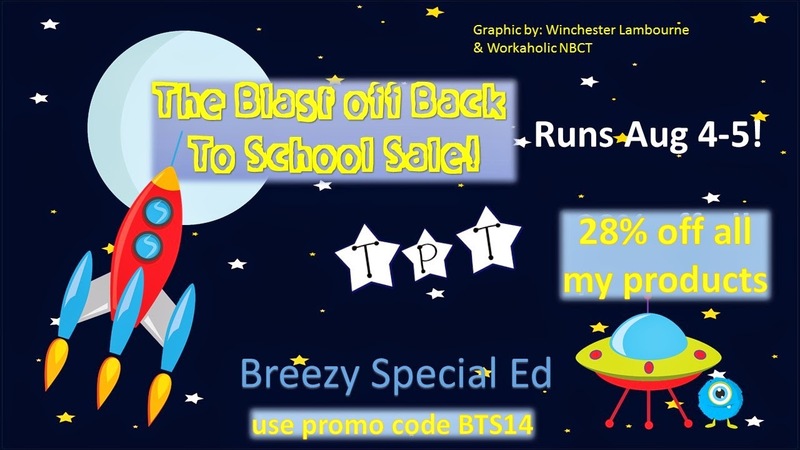 The TpT sale is this Monday (yes, tomorrow) and Tuesday, August 4 and 5. 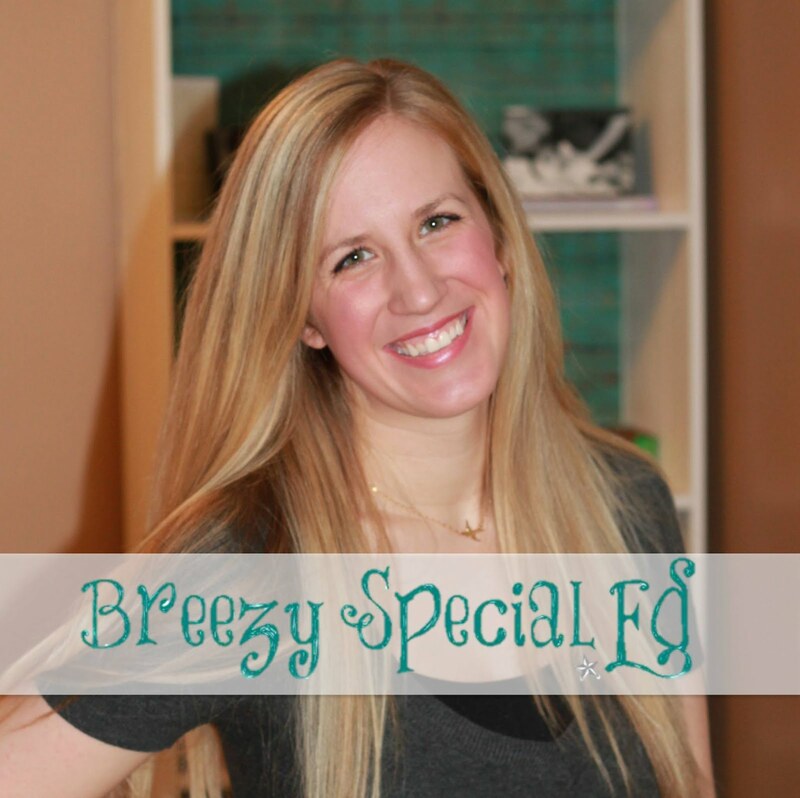 Most sellers (like myself) set their stores for 20% off and then you get an additional 10% from TPT with the coupon code BTS14 so you get a total of 28% off! I've been busy lately (after realizing how much I was slacking on school stuff this summer) creating tons of new products for my store! 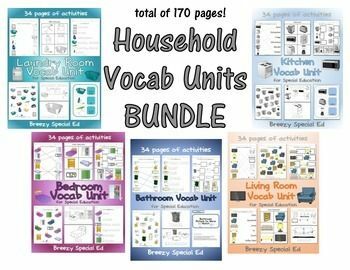 One of my new favorite sets are my household vocab units, and I've bundled them together which will make for a great deal especially during the sale! 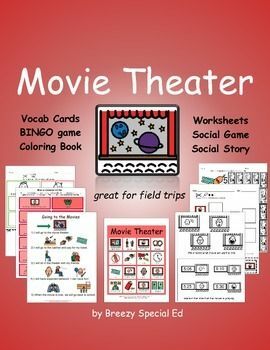 I received a request for a new community unit, and have recently added this movie theater community unit packet, which follows the format of my other community units as well. I love it when you guys request the things you need! I love helping you out. And it gives me more ideas for my own classroom as well! I'm also very excited about these monthly calendar worksheets I created. 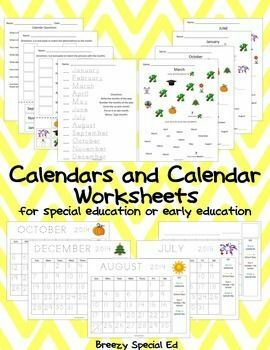 There is a traceable calendar for each month as well as additional calendar worksheets to work on some of the more simple calendar skills. I wish I could show you everything I've been posting lately, but that would make for a long post, so you'll have to go to my store to check out some of the other new things, such as more color-in money worksheets, and various math and household task cards! Enjoy the sale! Load up your carts now! :) I hope you all have fun stocking up for the upcoming school year. I know I will be!